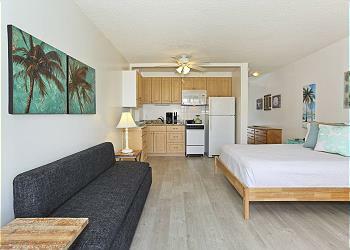 Fairway Villa vacation rentals (studios and 1 and 2 bedroom condos) are comfortable accommodations that offer full kitchens and washer/dryers in each unit. Dishes and linens are provided. WiFi and assigned covered parking are also included with your rental. This is a secure building. 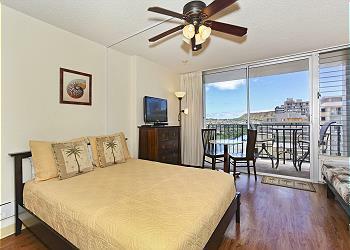 Captain Cook Resorts Fairway Villa vacation rentals are an excellent value for a property in a central Waikiki Beach location. 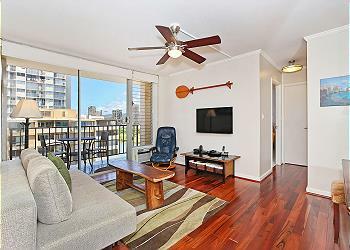 Fairway Villa is located along the Ala Wai Canal where there is a walking and jogging path that runs the whole length of the canal. From here you see the outrigger canoes heading out to the ocean on their morning or evening paddle. 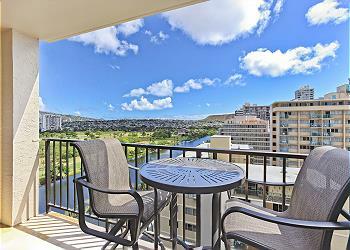 The suites at Fairway Villa offer views of the Ko'olau mountains and the Ala Wai golf Course and some have views of Diamond Head and a peek of the Pacific ocean. 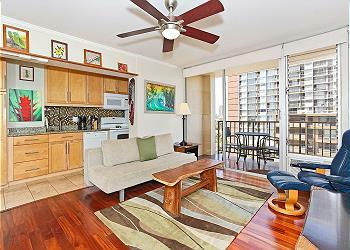 You are one block from a food market and two and a half blocks to the swimming and surfing beaches of Waikiki. 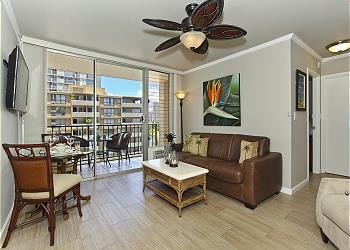 Shopping and Restaurants are just steps from your door. 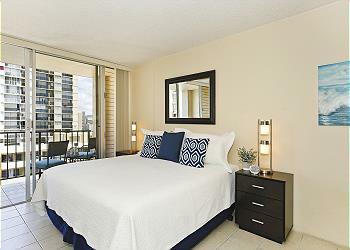 Vacationers will enjoy views from the popular rooftop recreation area which is complete with pool and hot tub. 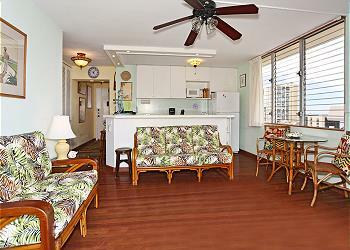 Captain Cook Resorts Waikiki vacation rentals at Fairway Villa offer a great value in a good location in Waikiki. Price per night from $245 to $330 USD Plus taxes and fees. NEW FURNITURE, NEWLY DECORATED! Great attention to detail…beautiful 2-bedroom, 2-bath with washer/dryer, AC, 55” Curved Smart TV, easy walk to beaches, shops, restaurants, & grocery. 1 FREE parking and WiFi, US and Canadian calls. Price per night from $160 to $235 USD Plus taxes and fees. NEW TO INVENTORY! 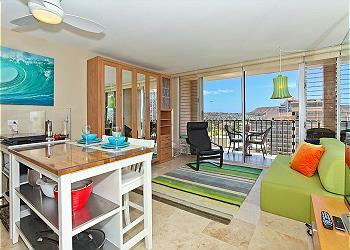 Beautiful 22nd floor vacation rental with partial ocean views from the living room and kitchen! 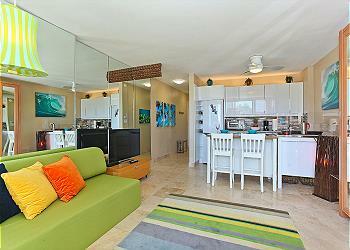 Includes FREE WiFi, parking and has its own washer/dryer! 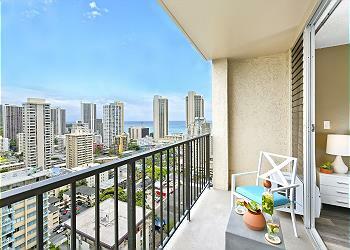 Quick walk to the beach, shopping, and all the entertainment venues of Waikiki! 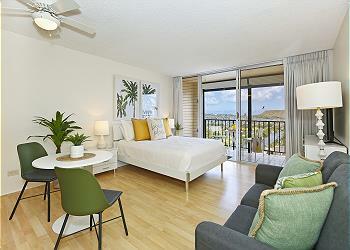 Peekaboo Ocean View Island-Feel Studio w/AC, Washer/dryer, WiFi, Parking! Price per night from $115 to $185 USD Plus taxes and fees. 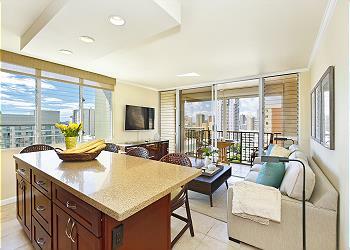 Warm island-feel studio and lanai with Ala Wai Canal and peekaboo ocean views! Wood laminate flooring (tile in bath), granite counters, stainless appliances, washer/dryer, whisper-quiet split AC, and free WiFi and parking! Sleeps 2. Price per night from $119 to $185 USD Plus taxes and fees. 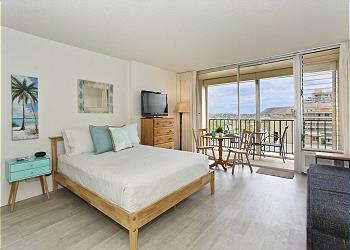 Upgraded modern, contemporary studio with partial ocean view from lanai, queen bed, compact kitchen with induction cooktop, convection oven, dishwasher, AC, Bosch washer/dryer, walk-in shower, washlet, SMART TV, FREE WiFi and one parking! Sleeps 2. Price per night from $107 to $175 USD Plus taxes and fees. Great budget-friendly studio with ultra-quiet split AC, mountain and canal views and 32" LDC/HD/TV, compact kitchen, washer/dryer, roof-top pool, one FREE parking and WiFi. Bed can be made up as king or 2 twins. Sleeps 2. 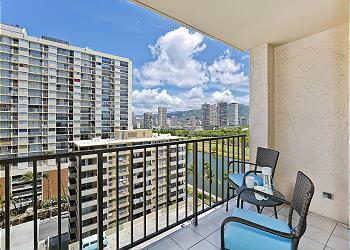 Ala Wai Canal Views! A/C, washer/dryer, dishwasher, WiFi, one parking. Price per night from $220 to $305 USD Plus taxes and fees. Recently remodeled 2-bedroom, 2-bath condo with full kitchen, washer/dryer, AC, flat screen TV – easy walk to beaches, shops, restaurants, & supermarket. One FREE parking and WiFi, US and Canada calls. 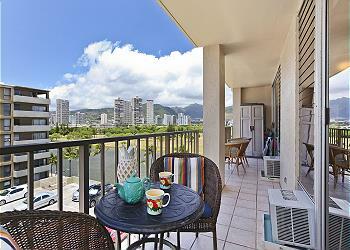 Diamond Head and Ocean Views! Newly Renovated Studio! Price per night from $120 to $185 USD Plus taxes and fees. 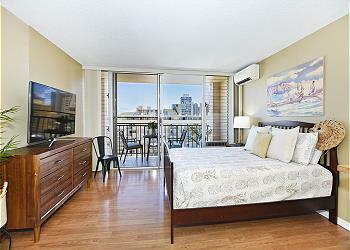 Beautifully renovated Fairway Villa studio with fabulous views! 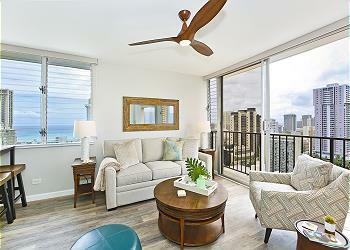 This vacation rental includes FREE WiFi, parking, and even has a washer and dryer, and it's a quick walk to the beach, shopping, and all the entertainment venues of Waikiki! Price per night from $255 to $345 USD Plus taxes and fees. NEW TO OUR INVENTORY - JUST RENOVATED! Great attention to detail…beautiful 2-bedroom, 2-bath with washer/dryer, A/C, 55” Curved Smart TV, easy walk to beaches, shops, restaurants, & grocery. 1 FREE parking and WiFi, US and Canadian calls. Price per night from $115 to $190 USD Plus taxes and fees. 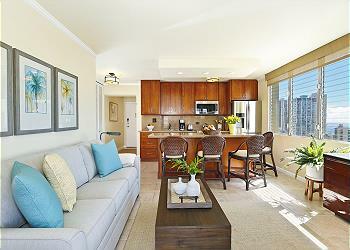 Exceptional value for a deluxe one-bedroom condo in Waikiki and the perfect retreat for a couple or small family! Great views. easy walk to beach and shopping. 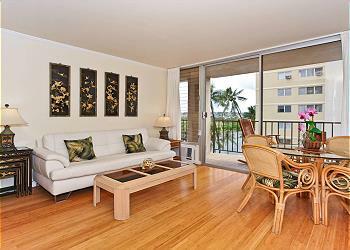 Full kitchen, washer/dryer, AC, large lanai, one FREE parking and WiFi included. 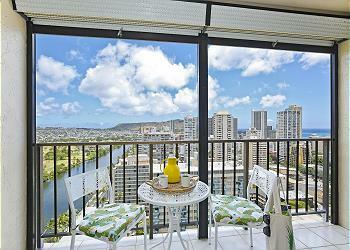 High Floor with Ala Wai Canal View! A/C, W/D, WiFi, Parking! 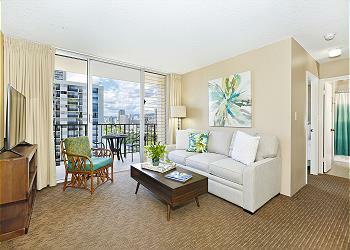 This 19th floor vacation rental has AC, FREE WiFi, parking, and its own washer/dryer! 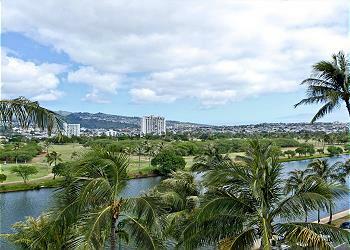 Quick walk to the beach, shopping, and all the entertainment venues of Waikiki! Sleeps 4! Washlets! A/C, washer/dryer, dishwasher, WiFi, and one parking. Price per night from $225 to $315 USD Plus taxes and fees. Beautiful 2-bedroom, 2-bath condo with full kitchen, washlets, washer/dryer, AC, flat screen TV – easy walk to beaches, shops, restaurants, & supermarket. one FREE parking and WiFi, US and Canadian calls. 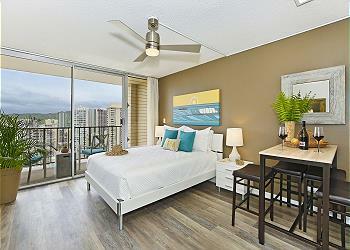 Fresh Contemporary/Hawaiian Decor with A/C, Washer/Dryer, WiFi, and Parking! Price per night from $137 to $215 USD Plus taxes and fees. 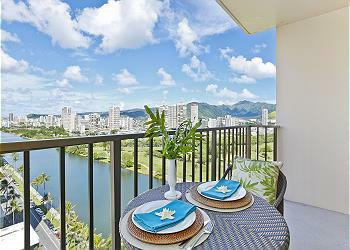 Savor the beautiful mountain and Ala Wai Canal views from this contemporary/Hawaiian flair condo. Stainless appliances, dishwasher, A/C, washer/dryer, one parking, WiFi. Sleeps 4! Price per night from $210 to $305 USD Plus taxes and fees. Recently remodeled 2-bedroom, 2-bath condo with full kitchen, washer/dryer, AC, flat screen TV – easy walk to beaches, shops, restaurants, & supermarket. One FREE parking and WiFi, US and Canadian calls. Updated Studio with Kitchen, WiFi, Washer/Dryer, and Parking! Sleeps 3. Price per night from $105 to $180 USD Plus taxes and fees. 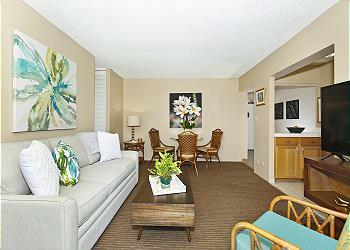 Recently renovated budget-friendly studio in the heart of Waikiki! AC, compact kitchen (new cabinets), NEW stove/oven, walk-in shower, NEW washer/dryer. 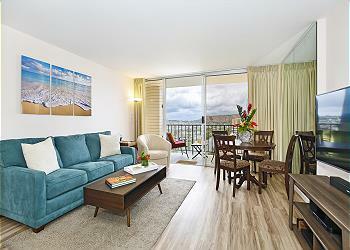 Just a short walk to beach, restaurants and shopping. One Free parking and WiFi. Sleeps 3. 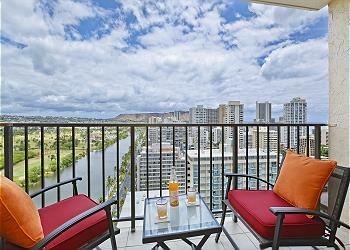 20th Floor with Ala Wai Canal View! A/C, W/D, WiFi, Parking! JUST RENOVATED! 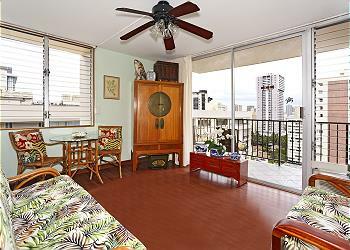 This 20th floor corner property with Plantation shutters in living room, washer/dryer, and FREE WiFi and parking! 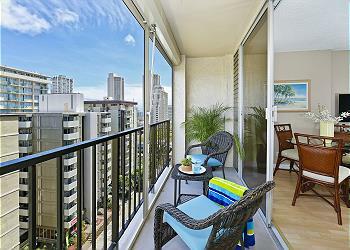 Short walk to the beach, shopping, and all the entertainment venues of Waikiki! Sleeps 4! Studio with kitchen, AC, washer/dryer and one free parking! Price per night from $109 to $175 USD Plus taxes and fees. Clean, secure 15th floor studio with AC, in-unit washer/dryer, compact kitchen with full-size refrigerator, flat panel TV, NEW Queen platform bed, plus one FREE parking and WiFi! Sleeps 3. Price per night from $125 to $185 USD Plus taxes and fees. 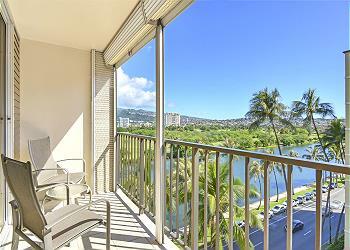 Beautiful remodeled contemporary/tropical one-bedroom with AC and mountain and Ala Wai Canal views! 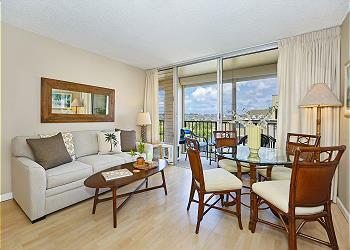 Wood floors, granite kitchen (with dishwasher), washer/dryer, one FREE parking (COMPACT car only), WiFi and more! Sleeps 4. High Floor with Ocean View! Bedroom A/C, W/D, WiFi, Parking! Price per night from $150 to $230 USD Plus taxes and fees. Beautifully styled and renovated (2018!) 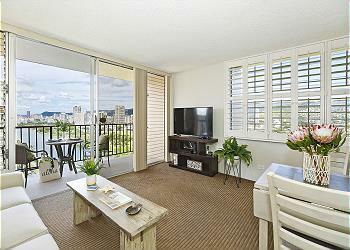 vacation rental with fabulous 25th floor views! 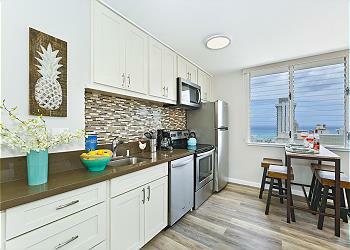 Includes FREE WiFi, parking, and has its own washer/dryer! Quick walk to the beach, shopping, and all the entertainment venues of Waikiki! Sleeps 4!